Many of you will know that since I got my Google Glass about a month ago I have become a massive convert and huge supporter of it. In fact I wear my Glass almost all the time now, pretty much only taking it off when I go to bed or before meeting. Those that I work with have also become accustomed to seeing that ‘thing’ attached to my head! At the moment Google Glass can still be considered to be in Beta and, as it stands, the list of apps, known as Google Glass Glassware, is somewhat limited. However, many new developers have taken up the mantle and and the list of available third-party apps is now growing. So I thought I would take a moment to mention a couple of the apps that I consider to be must-have and those that I use all the time. use ‘open camera’ to give you a camera viewfinder, take pics using the camera button. Enables you to properly frame a photo. use ‘switch wifi’ to toggle wifi with voice confirmation. Turning off WiFi when you aren’t using it helps to extend the battery life. use ‘switch bluetooth’ to toggle bluetooth with voice confirmation. Turning off Bluetooth when you aren’t using it helps to extend the battery life. 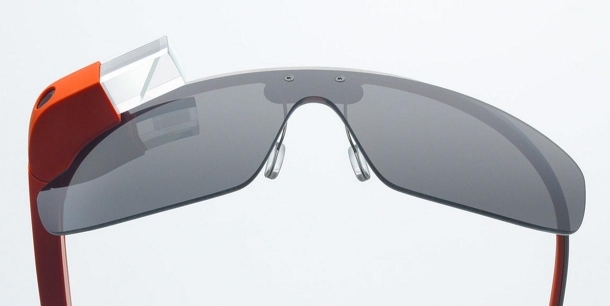 The use of Google Glass while driving continues to be controversial and there are still plans to ban it while driving. However, there are a couple of apps out there that, in my opinion, would certainly improve driving safety and one app that I enjoy using is SpeedHUD which is believe demonstrates the very reason why a blanket ban is premature at best. 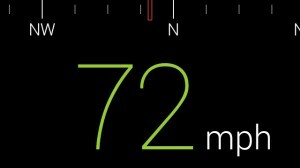 SpeedHUD shows your speed and compass direction. Obviously there are many more Glassware apps out there but these are just the third-party one that I use all the time. Whether you are new to Google Glass or an veteran they are definitely worth a look!